President Obama and House Speaker John Boehner are reportedly close to working out a deal to avoid the fiscal cliff at year’s end. Both sides say a resolution may be near. 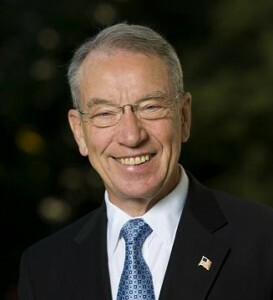 Iowa Senator Chuck Grassley says he’s seen different figures for how much the president’s reportedly wanting to add in spending. Grassley, a Republican, says he’s much more concerned about the expenditures side of the ledger and not so much about the tax side. The president’s latest proposal would reportedly boost revenues while keeping Bush-era tax cuts place for households making under $400,000 a year.